Just imagine you and your family traveling to campgrounds with your own bedding and cooking amenities without leaving your own bathroom behind. 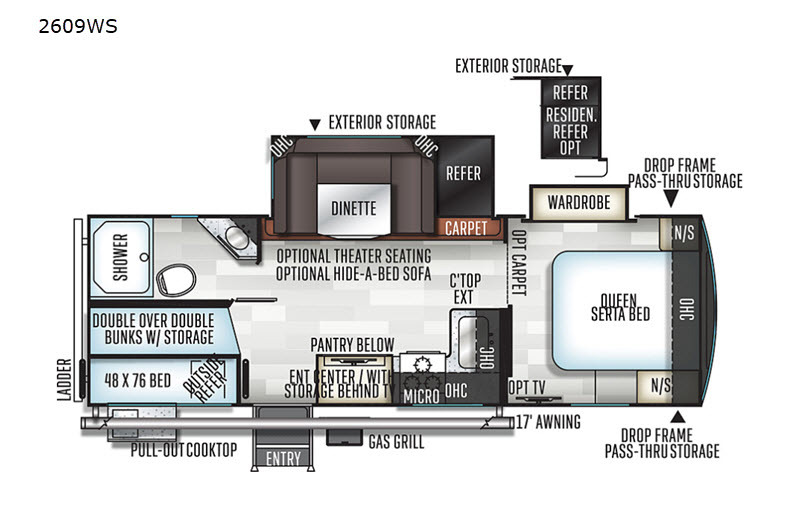 This Forest River Rockwood Ultra Lite 2609WS travel trailer offers double size bunk beds for the kiddos with a full bathroom only steps away, and your own front private bedroom with a queen Serta bed for you to enjoy a good night's rest. You even have a slide out wardrobe for more storage and extra moving around space, plus you can add the optional TV too. You all can dine outdoors under the 17' power awning with LED lights or inside at the U-shaped dinette. The cook even has the choice of making meals on the outside kitchen or inside with full amenities including a counter extension for more prep space. 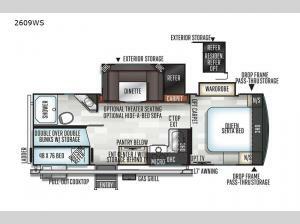 There are options to choose from such as a residential refrigerator, theater seating, or a hide-a-bed sofa!